Planet Amazing's non-toxic microcrystals can effectively protect lawns, houses and fight the spread of the fire ants. CNN calls it one of the worst insect epidemics in the history of the Southern United States, and several agencies in Texas exist solely to fight the spread of fire ants in the Lone Star state. Now Planet Amazing weighs in on the research with a report that shows a variety of environmental cures that can effectively protect lawns, houses and fight the spread of the fire ants. Mr. Douglas says that Planet Amazing microcrystals are highly effective for dealing with the fire ants in a focused location such as a yard or a home. 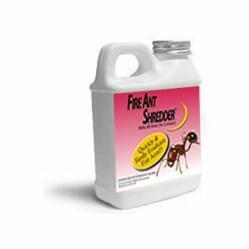 "The way it works is that you can take the powder, since the Fire Ant Shredder is a powder that you spread in a specific area, and you can put down a thin layer of the powder which is safe for humans, pets and plants. Fire Ant Shredder is a fire ant cure. The powder lasts months and is non-toxic, completely natural in its approach to getting rid of the fire ants. This is important for a couple of reasons, for one you probably don't want poisons in your yard or home to kill the fire ants. Sure there are poisons that can do it but we don't want poisons around our plants, pets and kids. So you don't have to use poisons, because our Planet Amazing products are completely non-toxic and safe for plants, pets and kids. The microcrystals will tear up the bodies of the fire ants and the powder is too small to affect anything else, it is completely safe for everything other than the insects and it is approved as safe by the EPA (Environmental Protection Agency) in the United States." For more information about Fire Ant Shredder visit the Amazon.com web store.